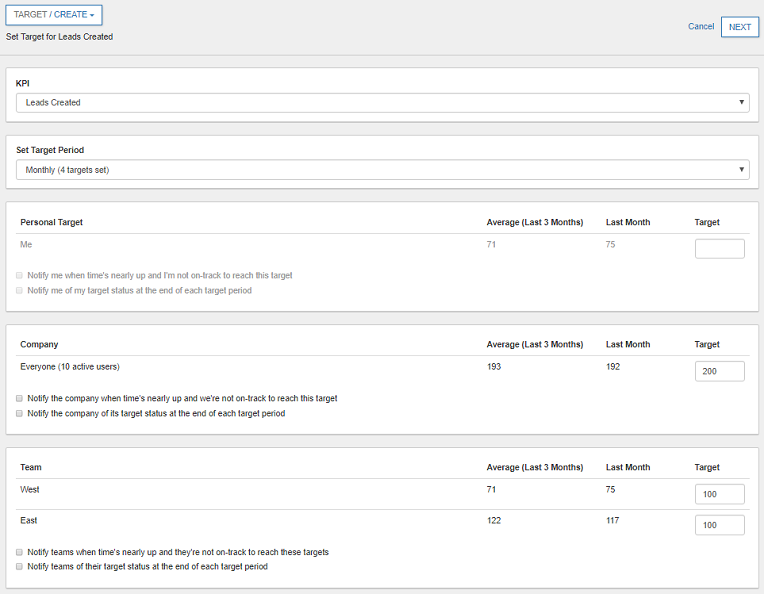 Administrators can set all types of targets (company, teams, and individual) for the active Motivator users. Other users can only view their scorecards and create personal targets. The free plan (including trial) only supports company targets. Target notifications are only sent to active Motivator users. 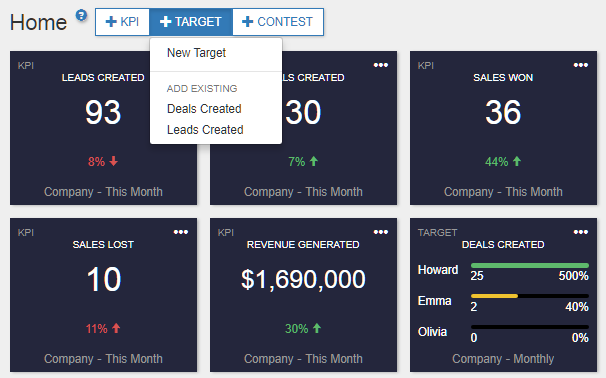 Click Action Menu icon [...] in the top-right corner of any KPI tile and select Set Targets for this KPI. Click +TARGET at the top of the dashboard and select New Target. 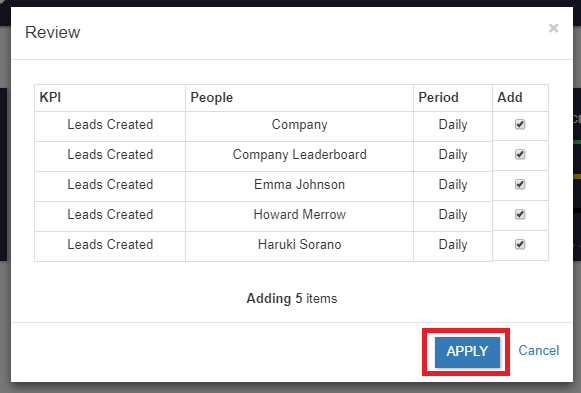 Select a target period from the Set Target Period dropdown menu. 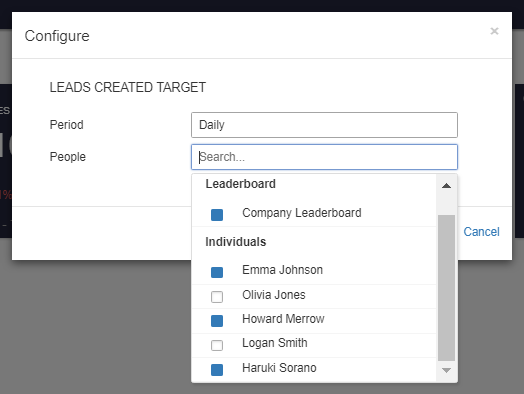 Specify targets for your Personal Target, Company, Teams and/or Individuals. 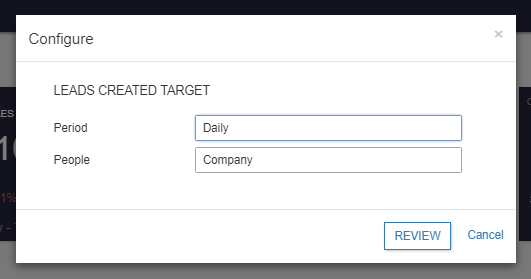 You can also send notifications when the target period is nearing an end if the target status is not "on track", as well as final target status notifications at the end of each target period. Target notifications are only sent to active Motivator users. When you are done, click NEXT. You will be sent to the Review screen. Confirm your settings and click SAVE. Click +TARGET button at the top of the dashboard. Select the existing target you’d like to add from the dropdown. Select your configuration from the available options. To add multiple tiles at once, select from the available choices and click REVIEW. Select the items which you want to add to the dashboard and click APPLY.